Current preventive therapies are associated with low adherence rates due to poor efficacy or tolerability. 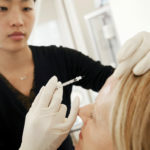 SAN FRANCISCO — Erenumab appears to be safe and effective for the acute treatment of episodic migraine, particularly in patients who have experienced multiple prior prophylactic treatment failures, according to data from the phase 3b LIBERTY study (ClinicalTrials.gov Identifier: NCT03096834) presented at the American Headache Society’s 60th Annual Scientific Meeting, June 28-July 1, 2018 in San Francisco, California. 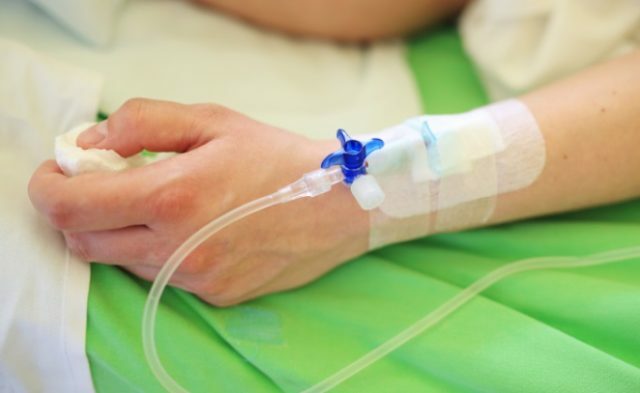 Noting that current preventive therapies are associated with low adherence rates due to poor efficacy or tolerability, the researchers sought to assess the safety and efficacy of erenumab in patients who were unsuccessful in their use of other therapies. In a 12-week, parallel-group study, patients with difficult-to-treat migraine (N=246) were randomly assigned 1:1 to either 140 mg erenumab (n=123) or placebo (n=123). The primary outcome was comprised of the proportion of participants experiencing a ≥50% reduction in mean monthly migraine days (MMDs) during the third month of treatment. Additionally, the investigators assessed the 12-week change from baseline in both MMDs and monthly acute migraine-specific medication days. Safety and tolerability outcomes were also evaluated. Approximately 38.6% of participants had reported failing 2 prophylactic migraine treatments at baseline, whereas 37.8% and 22.8% of patients reported failing 3 and 4 treatments prior to enrollment, respectively. A significantly higher proportion of patients in the erenumab group vs placebo group achieved the primary endpoint of a ≥50% reduction in MMD by 12 weeks (30.3% vs 13.7%, respectively; odds ratio [OR] 2.73; 95% CI, 1.43-5.19; P =.002). In addition, treatment with 140 mg erenumab was associated with greater reductions in both MMDs (mean difference -1.61; 95% CI, -2.70 to -0.52; P =.004) and MSMDs (mean difference -1.73; 95% CI, -2.46 to -1.01; P <.001) at 12 weeks when compared with placebo. No differences were found between the 2 groups in terms of safety and tolerability outcomes. There were no incidences of erenumab discontinuation due to adverse events. Makhija D, Reuter U, Goadsby PJ, et al. Efficacy and safety of erenumab in episodic migraine patients with 24 prior preventive treatment failures: results from the phase 3b LIBERTY study. Presented at: 2018 American Headache Society Annual Scientific Meeting. June 28-July 1, 2018; San Francisco, CA. Abstract 449769.